Today's Archive piece features another design classic from Melissa Price – a screenprinted book which celebrates the architecture of London's brutal yet beautiful Barbican Estate. Often sited as one of Britain’s ugliest architectural carbuncles, the 1960s Barbican Estate in London has its fair share of admirers and detractors. Melissa Price is firmly in the admiration camp. Not content with merely living in the estate and working there – in her capacity as designer for the Cartlidge Levene team on the Barbican Centre wayfinding project (produced in collaboration with Studio Myerscough) and also the Barbican estate pedestrian mapping project - she also spends her spare time exploring the architecture of the estate by creating beautiful screenprints of its elevations. 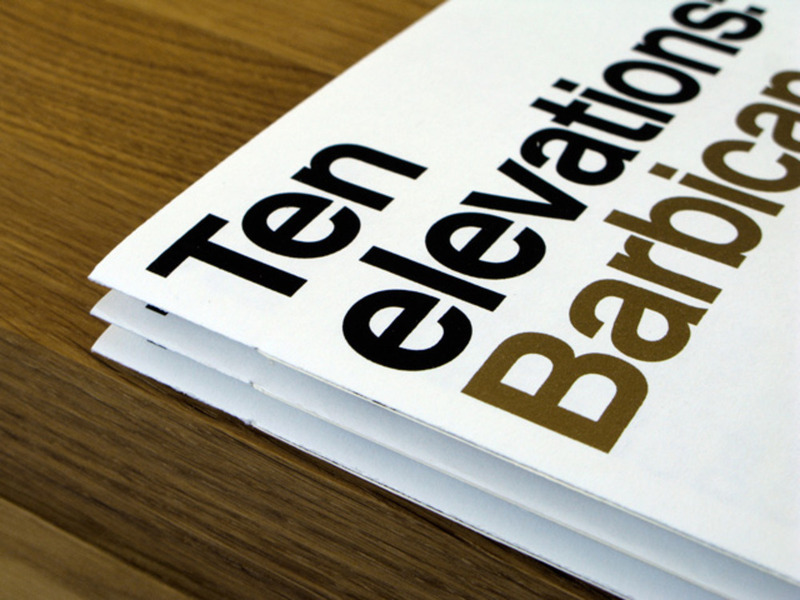 Ten Elevations is a self-motivated sixteen-page ode to her paramour. The book explores the architecture of the Barbican Estate by simplifying sections to make flat elevations in black and white. Price’s observations were initially drawn up in Illustrator, then screenprinted using water-based inks at the East London Printmakers in Hackney to create a short run of twenty copies. They are a wonderful testament, not just to one person’s love of a particular place, but also to the still river that runs through graphic design and architecture. Four of Melissa's Barbican Elevations prints are available to buy here.